Again, thanks to all who joined this giveaway! 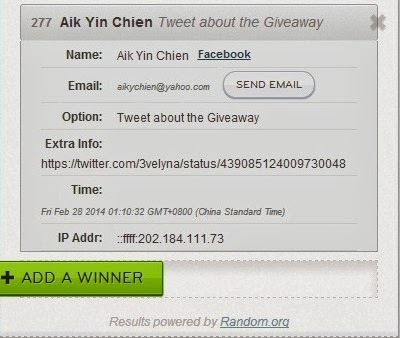 The winner of my ROMWE Heart Pattern Shirt giveaway is Aik Yin Chien! Will forward your details to ROMWE, expect to receive an email from them soon!